Dutch Universities advise patrons to use alternative ways to access journal articles, i.e. when deals (on open access) with publishers fail! - the Kopernio button (makes one-click access to subscription-based ánd open access publications much easier) http://kopernio.com Now acquired by Clarivate Analytics! No, i think Kopernio is the most interesting for libraries (with linkresolvers & off-campus access) and their patrons, because of the way it offers one-click access to articles the libraries has subscriptions to. 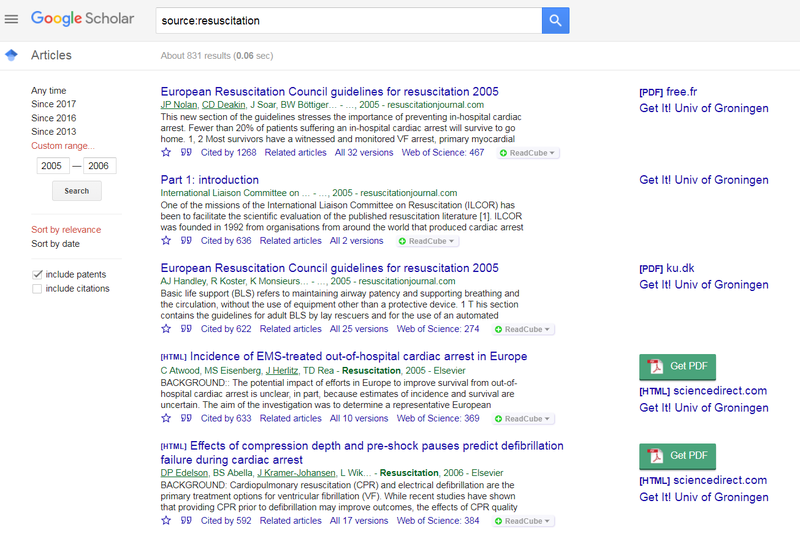 Kopernio, Unpaywall and Google Scholar are free tools. So, what is the extra of Kopernio if there's already sfx and off-campus access? Linkresolvers fail, management of Knowledge Bases or holdings databases is never 100% up to date. Kopernio gives you the pdf if it gets access, even if your Knowledge Base says you should not. Once installed in browser, registred for Kopernio, choose the right library. It then pro-actively shows you the available pdf, accessibly in one-click. So, no sfx menu with confusing multiple holdings, no failing linkresolver with very recent materials etc, and after once logging into the off-campus access, never logging in again, due to saved credentials. It is a "must try" experience! I have -for my workshop "How to get the PDF" made an overview of all tools, including some question& answer section from all responsible persons of the tools. 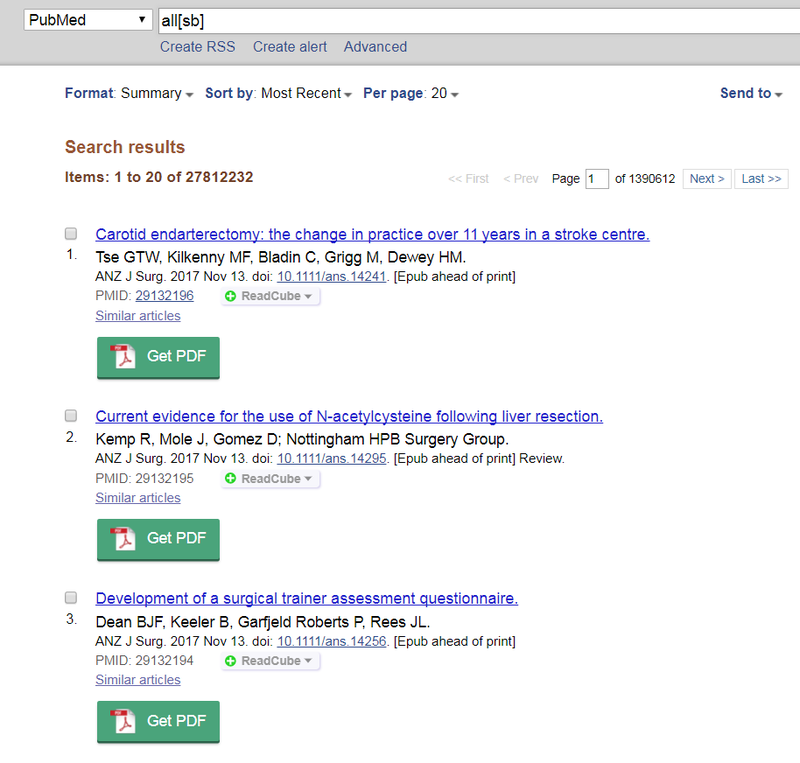 Last thing for today: if you install Kopernio, and go the Google Scholar, activate your Library links, you can easily compare 3 tools (Scholar itself, your Linkresolver 'and Kopernio (because it offers the pdf-link already in the search result-page of Scholar (and PubMed!). So, patrons will see available pfd's already in results page, no need to click to detail page. I am currently testing 4 browser extensions in Chrome that can help me find the PDF i need. Note this is a .com extension. This new company has been founded just 8 months ago. The Kopernio extension was released just in March 2017. Currently the Kopernio button is in alpha-testing and so far it seems free. The previous name appeared to be a tribute to the #ICANHAZPDF movement (requesting pdf's via Twitter with this hashtag). Kopernio extends the reach (and functionality) of your library linkresolver to the browser. It goes beyond the reach of the traditional library linkresolvers which show you if you are entitled to get the full-text based on checking your subscriptions database. It tries to solve the problem of the linkresolvers, early-online issues, publishers holdings- and access registrations. There are always discrepancies, bills not paid, backlog of mutations, titles changes etc etc. Kopernio does not only shows users the publications they can immediately open as pdf based on library subscriptions, but also other free versions that are out there on the Web. If your library holdings say NO, but the publisher left it open, you get the pdf. There is no doubt. Either you get it or not. You HAVE to create an account. If you register with your institutional /corporate email, it is then connected to the proxy settings of that particular library. When opening the webpage of a journal article or institutional respositories, e-print-servers etc) a #kopernio bar indicates (just like the Unpaywall tab) immediately IF a pdf has been found. The first time using Kopernio off-campus, your proxy login details are stored encrypted IN the plugin, and are never shared with Kopernio servers or others. If your library proxy settings have not yet been added to the Haz-bar give them a shout on Twitter , on Linkedin or Facebook. Their response so far has been excellent. They even have added the Groningen institutional repository as the world's first repository activated for Kopernio, on my request! So, every page on that repository, containing a DOI, WILL be "hazzed". I am coining the verb "hazzing" for showing available versions of scientific publications or data (free, open access or licensed) in a browser! ;-) It's is therefore not only using institutional repositories as a source to harvest pdf's, but also as a target to show the Kopernio Get PDF button/bar. 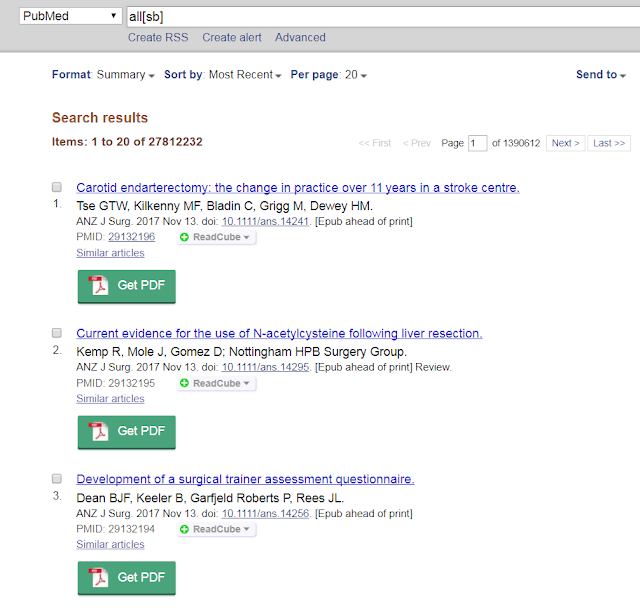 The Kopernio button appears also in PubMed search results to offer direct access to the pdf, instead on the article view level. 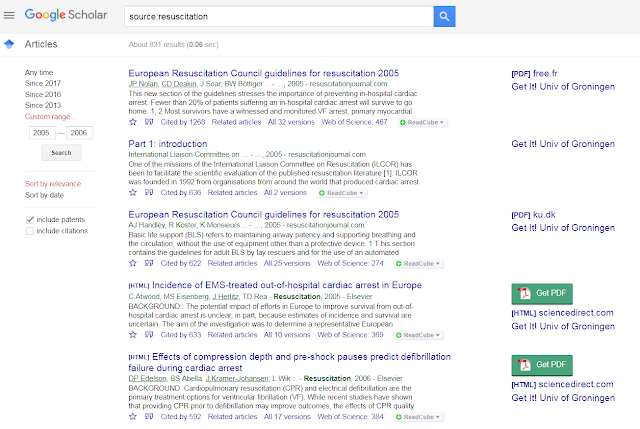 This is also activated for Google Scholar search result page, which makes it possible to do pratical comparison between the coverage of Google Scholar itself, Kopernio ánd the Library linkresolver showing up as Library Links in Scholar. You can then click GET PDF. Your Kopernio registration then allows you to choose to either add it to your LOCKER, Bookmark it to read the article later, or download the pdf. Clicking on the #kopernio logo in the upper left corner, takes you to the LOCKER with your saved articles/bookmarks. There is a build-in viewer to read your pdfs. You can download the citation to .bib currently. - "Deep links" via institutional libraries. This requires authentication against the library the first time Kopernio is used off-campus. - Your Kopernio PDF search history known as your "locker"
They are working with a (fast growing) whitelist of websites right now and they are adding more institutional repositories to these lists too. Depending on which (if any) of the above returns positive, the bar may take between 1 and 20 seconds to complete its search (Kopernio claims the average is around 3 seconds). 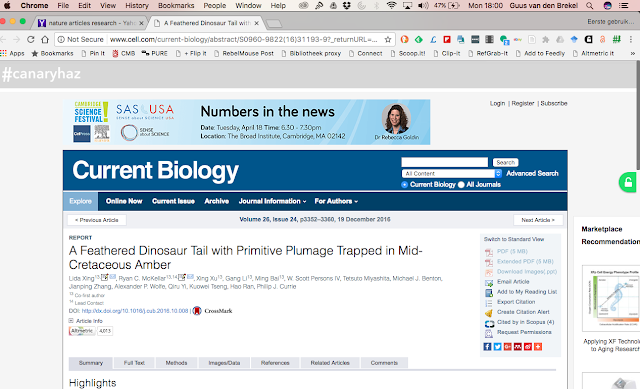 When making a head to head comparison with Unpaywall it's worth considering that the Kopernio link goes straight to the PDF while Unpaywall may take you to a sequence of interstitial pages first. Kopernio DID find a PDf version which seem to come directly from the publisher, because it is using my library proxy settings! So, I login once, and after that I don't need to do that at all anymore! UPDATE : I just found out that Canary HAz now also has a FIREFOX plugin! Finds full-text versions on the web. You can connect Google Scholar to your library's linkresolver (OCLC in my case) in Settings; Library Links; find your library and SAVE. In this case it finds the PDF based on your library subscription AND a free version of Ualberta.ca. I have no idea why this UAlberta.ca version is available for all, but it does not look to be open access or a final author's version. This add-on shows immediately if there is a free version without even having to click. It shows up as a coloured button on the right side in the browser screen. 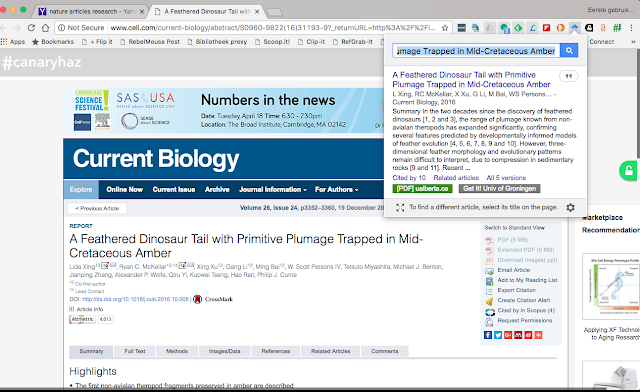 See a green tab when they find fulltext from an institutional repository or preprint server, and a gold tab when we find journal-hosted content with an Open license. 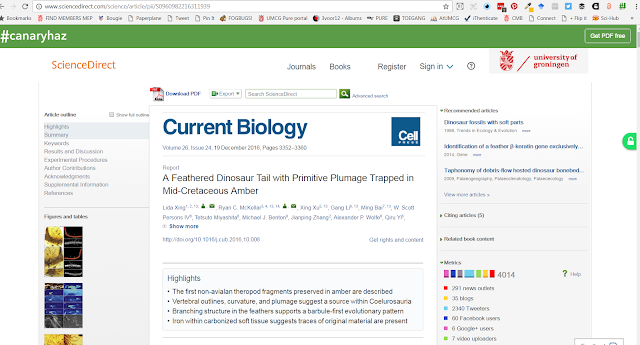 When we find journal-hosted fulltext with no license you'll get a blue tab. And grey means NO full-text available. You can activate the coulour-coded tab in Settings. Another setting can hide content from less trusted sources. You won't see fulltext from ResearchGate, Academia.edu, researcher homepages, and some IRs. This option decreases coverage by about 20%. Clicking the coloured tab opens up the free version from UAlberta.ca immediately. You have to click the button in the Toolbar to get it working. In this case -after searching for a few seconds- it does NOT show me any available version, but the Request article or data option. This feature will eventually send a request to the AUTHOR for a copy. This bookmarklet in your browser forces you to go via the Library proxy-login, wherever you are on the web. 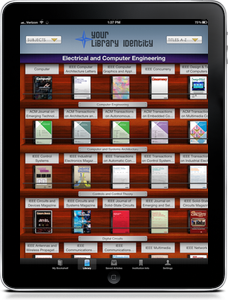 It takes you from the PAYwall to the PDF, if the library has access to the full-text based on their subscriptions. You just have to click on the CONNECT in the bookmark-bar. The choice to save your proxy login details in your browser is yours, but it can be very useful. Altmetric at UMCG : Who is talking about your research? On May 2nd I presented at the Meet&Learn session in the University Medical Center Groningen our Altmetric UMCG project. It was in Dutch. A summary was posted afterwards on the blog Innovatiepoli.nl For staff of the UMCG: if you want to know more and/or get access to the UMCG Altmetric Dashboard, please contact Guus van den Brekel! I have added the browser extension Canary Haz (http://canaryhaz.com) as a very promising easy tool with many interesting features. Please read more on Canary Haz in my post about browser extensions like UnPaywall, Open Access Button and Google Scholar button. The Unpaywall.org button says it is searching also in "less trusted sources". ResearchGate, Academia.edu, researcher homepages, and some IRs. You can UNcheck this option in the Unpaywall tool, but they tell us it decreases coverage by about 20%. Maybe they can adjust the text a little bit regarding the "less trusted sources".. Im am sure many institutional repositories would argue that they ARE a TRUSTED institutional repository! Does making #openaccess publications available as pdf in institutional repositories have a negative effect on stats of publishers version? Earlier this week I posted about: "Does making #openaccess publications available as pdf in institutional repositories have a negative effect on stats of publishers version?" Some researchers are asking librarians to make full-text pdfs of open access in our repository (Pure) invisible on the research portal, because it would affect the read/download stats on the publishers site in a negative way. In my opinion open access is about making research and publications as easy findable and accessible as possible, and not about boosting the read/download stats for publications on publisher sites..
What is your opinion? What is your library or institutions policy in making the final publishers versions available as pdf in your repository? ​Yes. ​Whenever there are OA copies at one site, they will tend to reduce the downloads of the same works at other sites. Some researchers are asking librarians to make full-text pdfs of open access in our repository (Pure) invisible on the research portal, because it would affect the read/download stats on the publishers site in a negative way. They are talking about the gold oa articles. ​To me, what's remarkable about this is that authors are identifying with the publisher's interests rathe​r than their own interests. Their interest lies in OA, not in protecting the publisher's stats. Another dimension of this: If the institutional repository is acting with care, then it's only providing OA when it has legal permission to provide OA. The majority of subscription journals provide this permission through their publishing contracts, and the majority of OA journals provide this permission through their open licenses. Hence, the publishers are *consenting* to this OA. There's no reason for faculty to protect publishers when publishers have the means to protect themselves. I agree that repositories also provide the valuable service of preservation. But if anything, providing open access is even more important. It almost seems as if researchers think that these publications read/download counts, including other altmetric stats, IS going to effect there bibliographic citations. One fear that is mentioned out loud is, that it would be bad if the repository version (post-print or final versions) would be quoted in a citation. It would cost them "official" citations. Altmetrics would not raise this problem, and evaluating scholars by their quality rather than their citation counts would not raise this problem. ​I collect some evidence in the updates and supplements to my book (Open Access, MIT Press, 2012, http://bit.ly/oa-book) for pages 152 and 154. Yes, making the pdf of a Open Access article available in an institutional repository, dóes affect the download/read stats on the Publisher's site, bút there is evidence that it increases citations.The permission to make open access available in institutional respositories is legal ánd consented by by Publishers. No, there is no need to make final publishers versions of open access publications invisible on institutional respositories. There is a strange fear that other researchers could quote the version available on the institutional respository, but as the actual OA pdf's are downloaded from the Publisher's site, they are always the same for the final publishers versions. Yes, also from the preservation aspect, it is a good idea to make the final publishers versions of publications available in the institutional respository. The Graduate School of Medical Sciences (GSMS) now licenses the plagiagism software tool iThenticate with the specific goal to facilitate promotors, and supervisors of doctoral/phd students. Doctoral/PHD-students should turn to their promotors and supervisors if they want to scan manuscripts, as only they have access to an account in iThenticate. 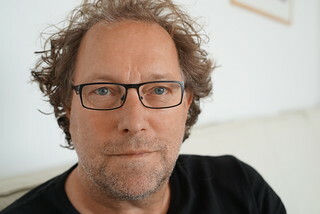 All other staff members in the UMCG can -as of now- turn to the Central Medical Library (CMB) of the University Medical Center Groningen (UMCG) to have manuscripts scanned for plagiarism with iThenticate. The CMB will perform the scan in iThenticate, deliver the detailed report and offers to discuss the results with the author. Please send us an email or call us (050) 361 6200) to make an appointment. Students of the University of Groningen have to turn to their supervisors & teachers in NESTOR to have manuscripts scanned in Ephorus INSIDE Nestor. For more information on the use of iThenticate in the UMCG, please contact the GSMS.